You are currently browsing the category archive for the ‘Color Classics’ category. ‘Always Kickin” sees the return of that infamous duo of burrows, Hunky and Spunky. In the opening scene we watch Hunky teaching Spunky how to kick backwards. Next we watch Spunky trying to be like the birds. He fails at attempts to sing, to build a nest and to fly, and all the bird mock the little donkey. Then an evil vulture or eagle (it’s not very clear) arrives, and kidnaps one of the young birds, much to the distress of the other birds. Spunky comes to the rescue, using the newly learned kicking technique to kick the hell out of the evil bird. In the end we watch all the birds admiring Spunky’s kicking practice. It’s difficult to say anything positive about this cartoon. Its story is so utterly cloying, its protagonists so terribly boring, and its timing so remarkably slow, it’s a real pain to sit it out. 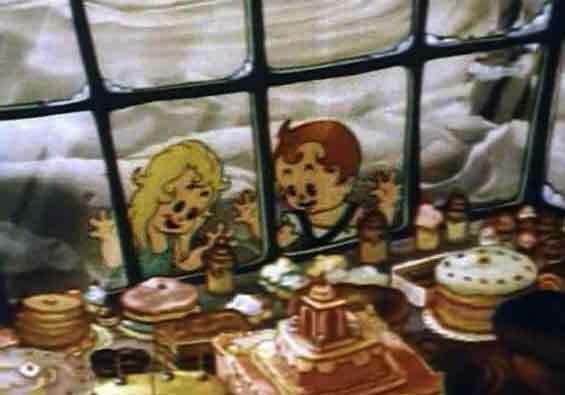 When one does so, the short’s seven-and-half minutes feel much, much longer… One can only guess what the Fleischers ever saw in their donkey duo, as they made yet another five cartoons with them.